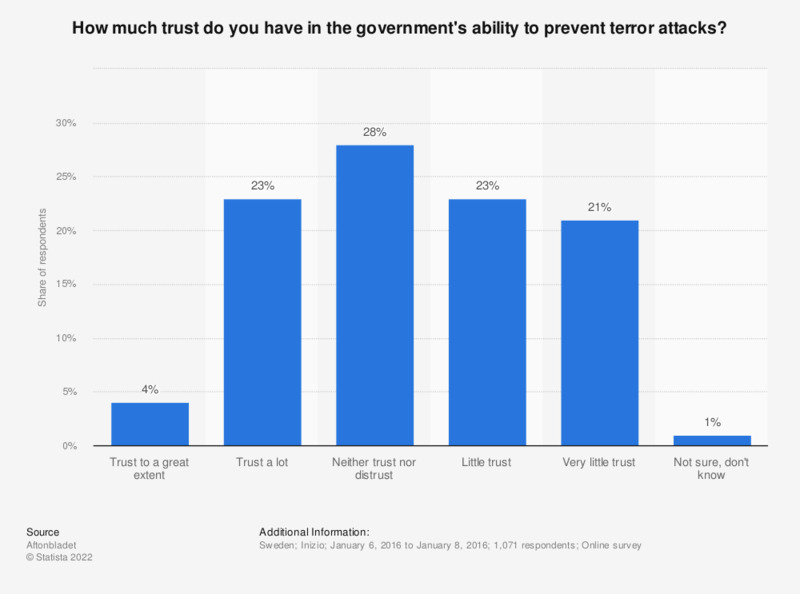 This statistic displays the results of a survey on trust in the government's ability to prevent terror attacks in Sweden as of January 2016. It was found that the majority (28 percent) of the respondents neither trusted nor distrusted the state's ability to prevent terrorism. This question was phrased by the source as follows: "Vilket förtroende har du för statens förmåga att förebygga terroristattacker?"